Hosted by the HMCS Alberni Museum and Memorial, One-Way Passage is an exhibition by talented artist Bev Tosh. It features 30 full-length portraits of young women in their wedding dresses, along with stories about their weddings and marriages. 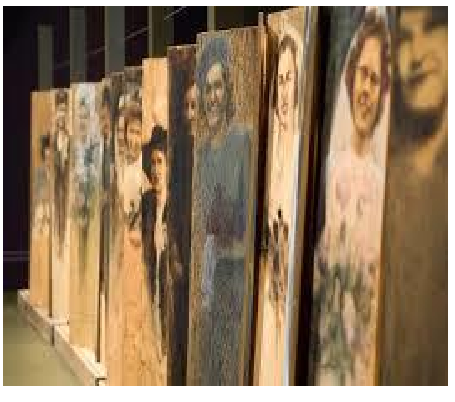 The portraits are made with oil on 4 foot by 1 foot wooden planks that evoke an air of nostalgia. The planks, which are positioned side by side, portray the war brides’ mutual support for each other. The exhibit is meant to pay tribute to the tens of thousands of war brides and the incredible and brave journeys that they have embarked.